A foreign ministry spokesman said the Chinese government also objects to the law but he had no information on whether it would join Huawei’s lawsuit. Guo complained Washington was “sparing no effort to smear” the company but has released no evidence. Huawei wants to negotiate with Washington to resolve its security concerns but the law blocks President Donald Trump from restoring market access, Guo said. He noted Trump has said he opposes using “artificial security reasons” to exclude Huawei. 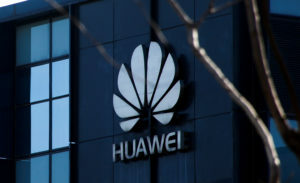 Lifting the ban “will give the U.S. government the flexibility it needs to work with Huawei and solve real security issues,” Guo said. Some European officials and others cite a Chinese security law requiring companies to cooperate with intelligence agencies. They say that might oblige Huawei and other tech companies to install “backdoors” in equipment to allow eavesdropping. “Huawei has not and will never implant ‘backdoors,'” said Guo, the chairman. READ MORE: U.S. trade deficit hits record high. Does it matter?